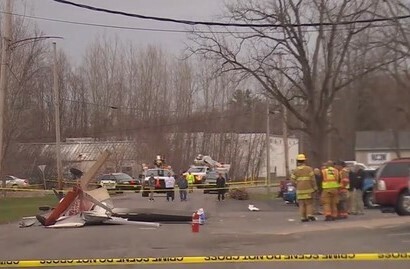 FULTON, New York (WSYR-TV) -- A small aircraft crashed in the city of Fulton Thursday afternoon. 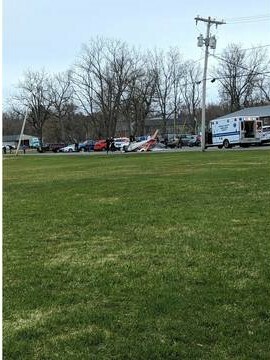 Oswego County 911 said the aircraft crashed around 3:30 p.m. near North Fourth Street. 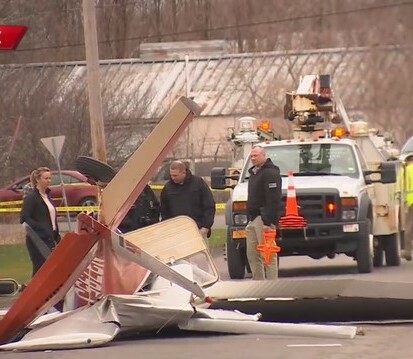 The pilot, 50-year-old Michael Simpson, was transported to Upstate with non-life-threatening injuries and is in "good condition" according to Upstate University's media relations. Simpson was flying from Malone, New York (which is about 170 miles north of Fulton) to the Oswego County Airport, according to Police. "I would like to thank first responders and the medical team at Upstate University Hospital for their help. I feel blessed and grateful for everyone involved in my rescue. I have been treated with nothing but the utmost professionalism throughout, and I appreciate our entire community’s outpouring of support and concern," Simpson said in a statement. Wow, this guy is extremely lucky to have survived such massive damage. Another "classic" GA airplane gone forever.